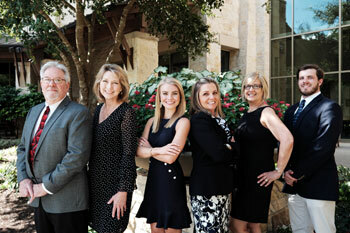 The San Antonio Premier Group, a dedicated team of agents here to help you buy or sell your home, while making the process as simple and satisfying as possible! In today’s real estate market, you need to work with a real estate professional you can trust. The San Antonio Premier Group is committed to providing the absolute finest service and expertise possible for our all of our clients. Whether you are buying or selling your primary residence, a second home, or relocating to a new neighborhood, the San Antonio Premier Group can help make your home ownership dreams come true. The Premier Group is a diverse group of agents, specializing in a variety of real estate services from Home Staging to Property Management, who truly care about their clients and their real estate needs. Our team's unique background and experience over the years has led us to become one of San Antonio's Top Producing Real Estate Teams. We always provide our clients with an extensive Comparitive Market Analysis to determine the most accurate value of your home, aiming to sell your home as quickly and competively as possible. With every home we list we offer Complimentary Home Staging and Professional Photography in order to stand out from the competition. These are just a few of the many tools we offer in order to attract potential buyers to your home. We also advertise our listings on many social media outlets and host open houses to showcase your home. Be sure to check out our new digital marketing media site, ChuckNall.info, and see what we can do to help you find your next home.